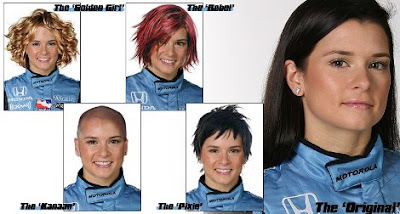 The clearly bored folks at IndyCar.com (this image is THEIR handiwork) have taken Tony Kanaan's comment about shaving Danica! 's head a bit further - which is to say they've broken out the Photoshop. Notice that the bald option is "The Kanaan". Can we add the "Bow Wow Wow" as a choice? That's like partially shaved and partially still intact. Mr Hospenthal would be thrilled, no? 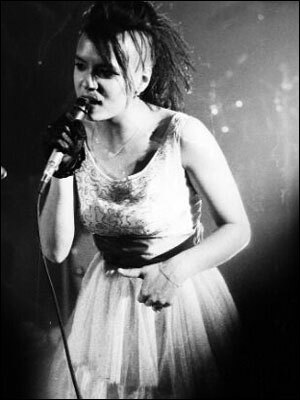 I voted for Pixie on the mother site, but Rebel would be OK too. Danica would have to sue Kanaan for costing her money, image-wise, if they shave it all off. Where is the "This problem will actually never come up" choice?